The estimate was accurate. The technician was on time and knowledgeable. The repair was priced at roughly half of the stove price when new. RANGE WHIRLPOOL WFE515S0ES1 "Found broken hinge, replaced hinge, unit working ok"
DRYER WHIRLPOOL GEW9200LW1 "Unit not heating, found open element, needs new element, quoted 85.95 for labor ; ordrng 1 WP3387747 (element)"
RANGE WHIRLPOOL KSEG700EWH0 Verified the unit had 4 codes on it for the f8e0 error. Installed new cooling fan and cleared the codes. Verified with a 350 bake and all checks out ok and is working correctly. Office to bill. RANGE KITCHEN AID KSEG700EWH0 Installed new keypad in the unit and verified the repair with a 350 degree bake test since they said it liked to go off while they are using it. All checks out ok and is working correctly with no further issues. DRYER WHIRLPOOL WED75HEFW1 They had called and canceled this appointment the same day it was scheduled. 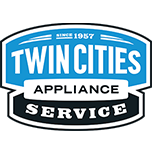 DISHWASHER MAYTAG MDB5601AWW "Replace latch, test ok"
GAS RANGE WHIRLPOOL WGG745S0FS02 Installed new control and new upper oven ignitor. After installing parts verified the repair with a 350 bake. All checks ok. Unit is cycling correctly and no other issues found. WASHER WHIRLPOOL WFW75HEFW0 "Customer said the issue started when she had a load not spin out. Found that the settings on normal had been set to no spin which is why the time dropped down and load wouldn’t spin out. Talked with customer about how the last cycle setting will always be saved so won’t correct itself if settings get off and if times are different, may need to check the cycle settings. Set the normal back to high speed spin which brought the time back to the expected 47 minutes. All checks ok and no error codes." REFRIGERATOR KITCHENAID KRFC300ESS01 Install freezer door do to upper liner lip warped down ward and was not contacting freezer inner door switch. Test icemaker with new door and verify now working properly. DISHWASHER KITCHEN AID KDTE104DSS0 "When testing before parts unit was functioning correctly and went through a diagnostic test with no errors and both spray arms spinning. Could be an intermittent issue going on with the control that was occurring last time so installed new UI and control. Tested once again and all checks ok, both spray arms are rotating and no errors. ; used 1 Ship (Shipping/Handling) from stock"
DISHWASHER KITCHEN AID KUDS30IXBT0 "4-3, 6-2, 6-1, 2-1, Found, ui non responsive intermittently, multiple lights stay on , motor intermittently off and on, upper rack adjuster needs to be replaced as well, customer declined estimate, do no order parts, pvr ESTIMATEONLY ; ordrng 1 DONOTORDERPARTS and 1 ESTIMATEONLY and 1 W10712394 (adjuster) and 1 WPW10500173 (panel-cntl) and 1 WPW10780877 (pump&motor)"
DRYER WHIRLPOOL JNJWJEC "Completed conversions for both dryers, TK to bill out"
REFRIGERATOR WHIRLPOOL WRS342FIAM02 Install new filter housing do to broken door slide that grips the filter and ejects it.New house works properly and no issues pulling filter out. RANGE WHIRLPOOL WGG745S0FS02 "Adjusted front left burner which wasn’t staying lit on low and now it is, all other burners ok, also fixed burner shield on upper oven, unit now functioning okay"
WASHER WHIRLPOOL WTW7300DW2 "Found error codes for unbalanced load and overloaded. Found OEM drain hose connected to a non OEM black rubber hose that can pinch. Advised customer to change to a rigged plastic drain hose extension. Ran a manual high speed spin test and an auto test. All tested ok. Advised Cust on cycle selection, detergent use, load size and type"